Thank you to Witness to Innocence for sending five death row exonerees to speak at the 19th Annual March to Abolish the Death Penalty. Come hear their stories at the Texas Capitol in Austin on October 20, 2018 at 2 PM. 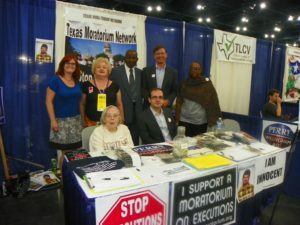 They are: Ron Keine who spent years on death row in new Mexico, Gary Drinkard who spent close to six years on Alabama’s death row, Shujaa Graham who spent time on California’s death row, Albert Burrell 13 years on death row in Louisiana, and Derrick Jamison, who spent nearly 20 years on Ohio’s death row. 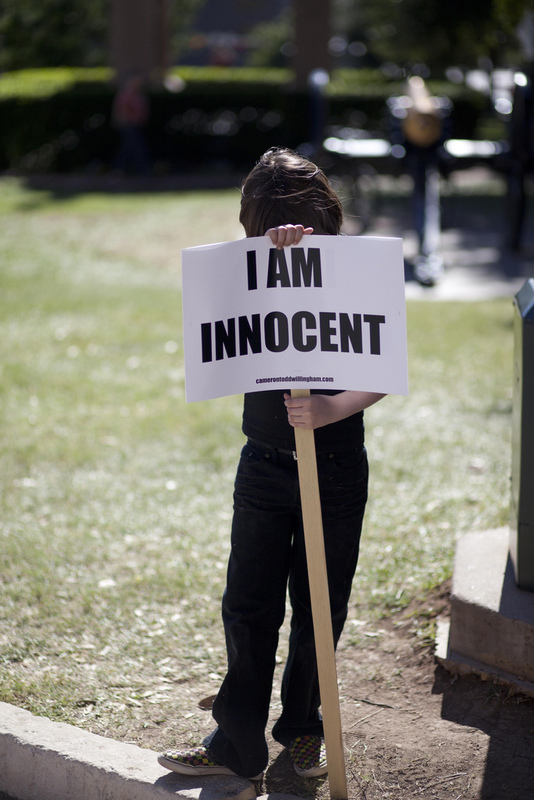 Witness to Innocence is the nation’s only organization dedicated to empowering exonerated death row survivors to be the most powerful and effective voice in the struggle to end the death penalty in the United States. 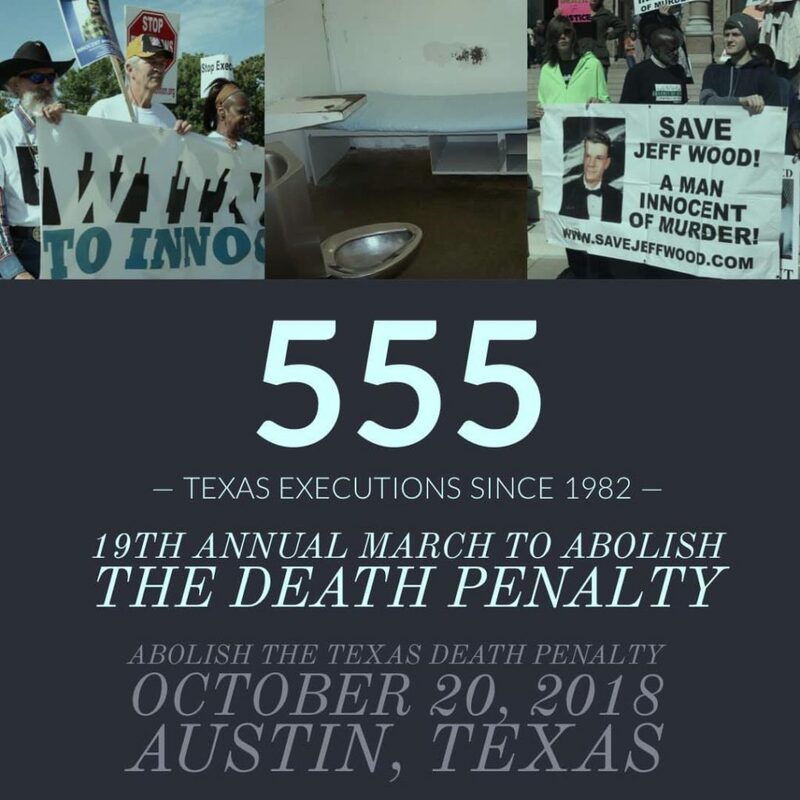 The 19th Annual March to Abolish the Death Penalty will be held in Austin, Texas on the South Steps of the Texas Capitol at 2 PM on Saturday, October 20, 2018. 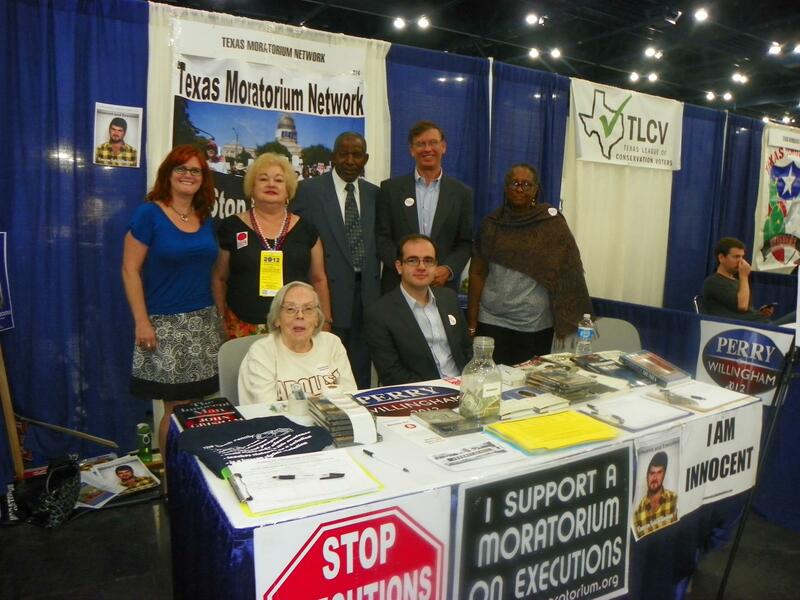 Donate here to help bring five death row exonerees to the march in Austin at the Capitol. We are in need of funds to help provide speakers fees and travel assistance to several exonerated death row prisoners, publicity and outreach, and other costs associated with this annual event. Anything you can give would be a huge help to the family members, former prisoners and activists that organize the march! 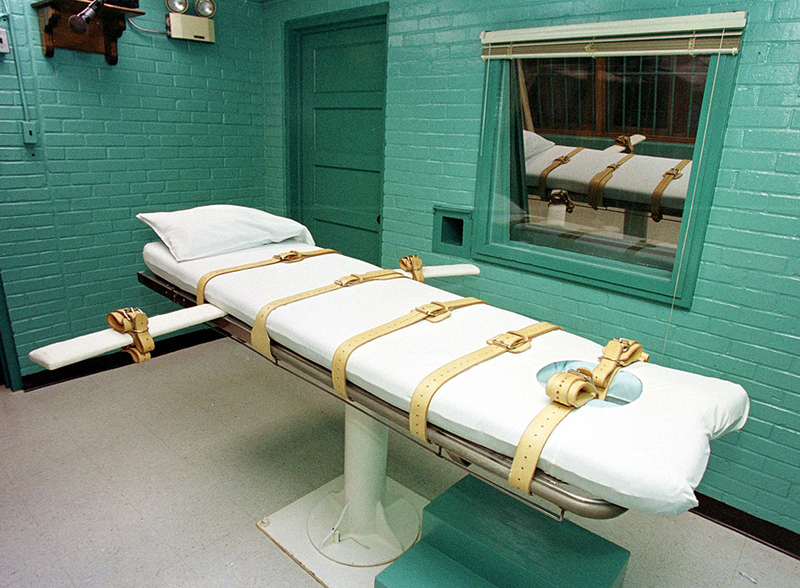 Texas has executed 553 people since 1982, almost 5 times as many as the number 2 state. Texas has executed 8 people so far in 2018, with 8 more Texas executions scheduled through January 2019. 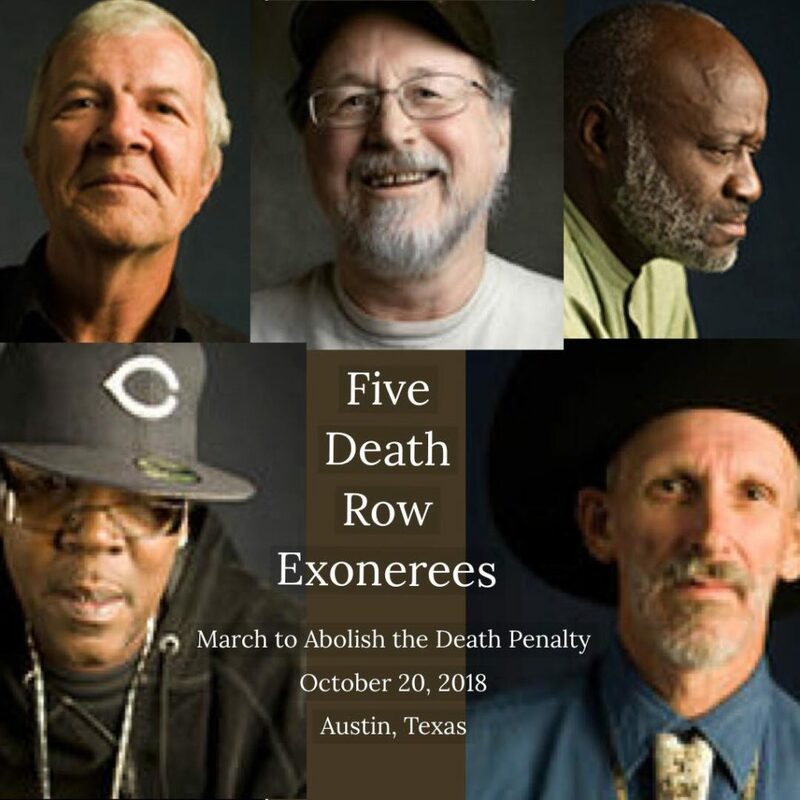 Special Guests: Five death row exonerees from Witness to Innocence, the nation’s only organization dedicated to empowering exonerated death row survivors to be the most powerful and effective voice in the struggle to end the death penalty in the United States. Shujaa Graham who survived death row in California. Ron Keine, who survived death row in New Mexico. Derrick Jamison, who survived almost 20 years on death row in Ohio. Albert Burrell, who survived 13 years on death row in Louisiana. Gary Drinkard, who survived close to 6 years on death row in Alabama. Clarence Brandley, an innocent man who spent 10 years on Texas death row, has died. Ever since his release Clarence worked tirelessly and selflessly to end the death penalty. He lobbied legislators, testified at committee hearings, spoke at the annual march to abolish the death penalty and to countless community groups. When you needed Clarence, he was there for you. He will be missed greatly. The World Premiere of the new film “Trial by Fire” about Todd Willingham is at the Telluride Film Festival August 31, 2018. 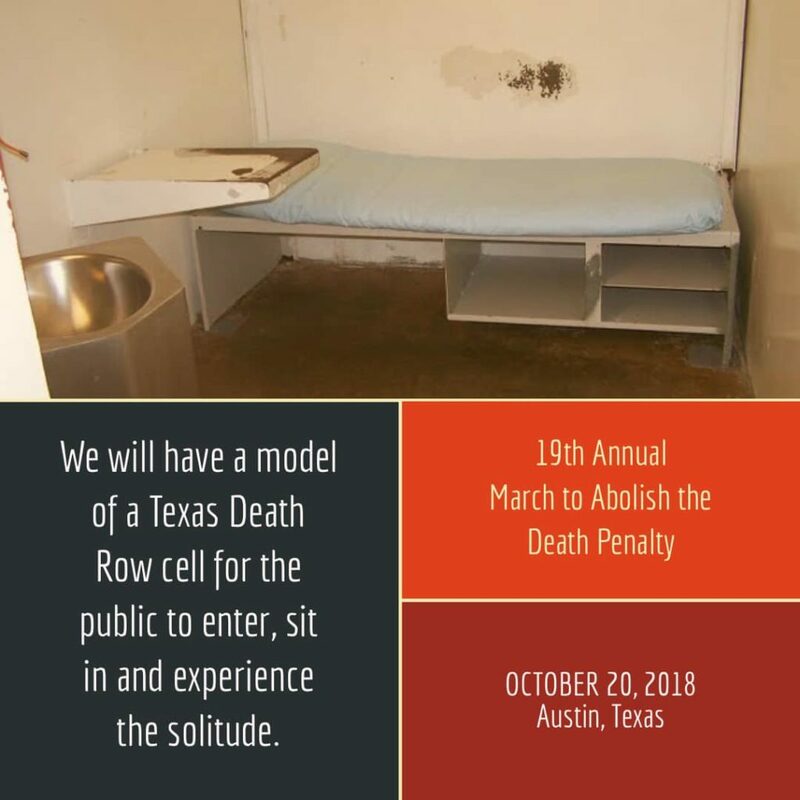 The 19th Annual March to Abolish the Death Penalty will be held in Austin, Texas on Saturday, October 20, 2018 at 2pm at the Texas Capitol.